I'm not one for New Years Resolutions really. Most of my goals that are not professional/career oriented are short term flash-in-the-pan type affairs. I decide to grow my hair and I get sick of it three months later. I give up chocolate and start eating cheese until I go back to chocolate. I go on a spending ban and then I go mad in Brown Thomas. I wasn't too fussed about making all the big promises to myself this year because I know full well in my heart I have absolutely no staying power to maintain any such resolution over a 12 month period. Anybody that knows me in the real world will know that I am a spender not a saver, I like to treat myself for working so hard, and I am a great believer in the (not-so-cheerful) philosophy that you can't take it with you when you're gone. I don't want to buy into the resolution fad because I want to learn good habits and not just keep repeating bad old ones! And that got me thinking (I can hear you all go oooooh!). December and January are such months of excess for me- spending a fortune on gifts and buying heaps of gifts to me from me, shopping the sales and eating and drinking WAY too much. Whilst intoxicated with the materiality of it all, I began to ponder as to what it would be like to live without these things for a short period of time, like a month for example. To live with less excess. And so my idea of 'Frugal February' was born. It's not Extreme Cheapskates and it's not Operation Transformation, it's just about cutting out as much of the excess as possible, standing back, appreciating everything you have already been blessed with and embracing a new way of life. I can't speak for everyone but I know I have certainly stepped back from my wardrobe/ makeup collection and been angry with myself for getting so consumed with consumption and shopping and owning too many things and feeling almost burdened by possessions, spending too much money on useless things and not getting the value out of things you already have and letting food and products go to waste. I'm not really one to set blogger challenges and the likes, but if you are sitting there nodding your head and feeling like this is something you would like to do, then keep reading, have a think about it, and let me know in the comments below if it is something you might be interested in because I'd love company on this Frugal Friday adventure. You can take on whatsoever and however many challenges you like, as long as you are embracing frugality and taking stock. There are no rules per se, and there is no point making promises you cannot keep. 1. Keep a diary of my incoming cash, outgoing cash, bills etc. I think this would be a useful exercise to see where all my hard earned bucks go to. I did a blog post a few months back about how much my face would be worth and I was flabbergasted with the end result when I sat down and worked out how much the final tally came to. I think if I could see the actual amount of money that I squander on a weekly or monthly basis that I would be horrified into reassessing my spending habits pretty sharpish! I am literally tripping over makeup and beauty products in my little ensuite bathroom and I am a demon for opening something, using about half of it and then buying something else in Boots and forgetting about the half full bottle of something in my bathroom already, and the cycle continues. I am going to make a conscious effort to use up some of these products over the month of February before they go out of date or before I will get killed by an avalanche of bottles the next time I knock my display unit over. 3. Put money into a savings account every week. I save very sporadically when the notion takes me, and I have often considered setting up a direct debit to send some of my hard earned bobs into a magical safe secure locked savings account but have neglected to do this so far. In February, I am going to make the conscious decision to save as much money as I can over the month for a rainy day. 4. Only spend money on the essentials- food, petrol, etc., and even then shop around for the best deal. If I need it, I'll get it, but only if I need it. Absolutely no non-essential purchases for 28 whole days- no magazines, no clothes... I'm not going to be couponing or the likes but I will try to shop smart and plan meals (with the hours I work food wastage is a huge problem for me- I buy groceries at weekend thinking I'll cook when I go home, get home from work circa 10pm and have no mind for cooking, food goes off, food gets dumped.) I'm going to shop smart for the month of February and plan my week in advance. Anything I have to buy, I'm going to try to do so as economically as possible. 5. Bring my lunch to work with me each day and forego the takeaway coffees. This one is going to be REALLY tough for me, not least because I find it hard to function at my desk without my skinny hazelnut latte. I HATE packed lunches and I don't actually find them that much more cost effective/ healthier/ time saving than just picking up a sandwich or salad somewhere. I think I will struggle with this more so than the rest of my objectives but time will tell. 6. Try to have at least 10 spend free days (days where you don't actually spend a dime!). Bearing in mind that February is a 28 day month this year, I'm already down 2/3 days from the get-go making it even more challenging! If my Luas ticket is prepaid at the start of the month and I bring lunches into my desk with me, this shouldn't be an insurmountable obstacle. 7. Try to stick to three meals a day and no snacking in between. I am a terror for grazing in between meals and alot of the time it's more habitual than satisfying hunger. I just think this is a bad habit that I should be able to eliminate pretty easily, especially at my desk at work. 8. Try to cut down consumption of Coca-Cola. I hate to admit it, but I have at least one glass/bottle/can of Coke a day. I have tried to kick this habit to the curb completely and only lasted days, but it's one of those things that I didn't even really devote to breaking. I know how bad it is for me, but I guess I excused it on the basis that I don't drink or smoke or have any other vices really. Well the excuses are up now, and even if I cannot cut it out completely, I am going to try to dramatically reduce my intake. 9. Use up the food in my freezer/ store cupboard. There are no excuses really as to why I don't do this already. I think it's laziness or silliness or maybe a combination of both. I have so much treasure in that freezer that just has to be eaten. I think I prob have enough meat, waffles and frozen veg to last me for the whole month! 10. I am going to read and finish four books over the month. And I mean real books and not kindle or e-reader books. I used to absolutely love and adore reading when I was younger but I have pretty much completely given up reading books in recent years, mostly because I am reading all day long every day in work and the last thing I want to do is to be confronted with black and white text when I get home from work in the evenings or worse still, on my precious weekends at home. Now I know that it is going to be unbearably tough and I am going to be very strict with myself because I want to challenge myself and I want to be proud of myself for being disciplined enough to carry this off. Right now as I am thinking about all the things I could do not only to save money but also to be healthier and more environmentally aware. I don't often delve into lifestyle type posts but I would love to share my Frugal February adventures with you all. Over the course of February you will see all the usual beauty chatter from me, but you will also see my Frugal News bulletins and updates. I'm going to keep an online diary of my progress/successes and failures over the month of February, and I am hoping that by the end of it that I will have more money in the bank, a few less pounds under the belt and a healthy, reinvigorated attitude. Hopefully you will find that you have developed a new savvy money habit that you won't want to stop in February! So if you're interested, let me know in the comments below and we can support each other in our frugality. If you want to blog about your own Frugal Fun, link your blog posts below. If you want to tweet about your progress, use the hashtag #FrugalFebruaryFun to keep us posted. Check in with news of frugal findings, frugal food, frugal funds, frugal fails and ways to have good old-fashioned frugal fun. 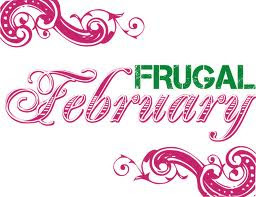 If you have any suggestions on frugality or the Frugal February challenge, do share them below on the Frugal Forum! This sounds like fun. I may do this! THis sounds like another great Idea Aisling. I am already on a budget, but there are areas that I could improve on and I am going to try this! Really good post. While I probably don't splash out too much on cosmetics and clothes, I think I am guilty of the rest. Definitely spending and not knowing where, coke and expensive lunches and takeaways. I do agree you might as well enjoy life while you are here though! Hoping to save a lot more this year and do more with my money. 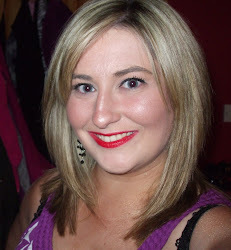 I just found your blog tonight and I really love it! I wanted to pop in and commiserate with you on the soda addiction. I used to have the same problem. Well, I still do to some extent and I think sugar is something you fight your whole life. Anyway, I haven't had any cokes for five years and I was on several a day. I did it by replacing the corporate baddies with alternatives from natural food stores and then I switched to buying seltzer water or soda water and adding some lemon and agave or stevia. I added a glass of water before each soda and then started cutting back more. This would have sounded like a crazy plan to me years ago but it's much cheaper and you can make it as sweet as you want without being syrupy like coke. There is a new brand of sugar free soda in places like Whole Foods in the US, called Zevia. It has zylitol which is supposed to be better than aspartame. Maybe it's in Ireland. Anyway, good luck with your new resolutions!